Ed McQuarters excelled at wrestling, track and field, and football. After graduating from the University of Oklahoma, McQuarters played two seasons with the St. Louis Cardinals. McQuarters came to Saskatchewan midway through the 1966 season, and helped the Roughriders attain their first Grey Cup win over the Ottawa Rough Riders. 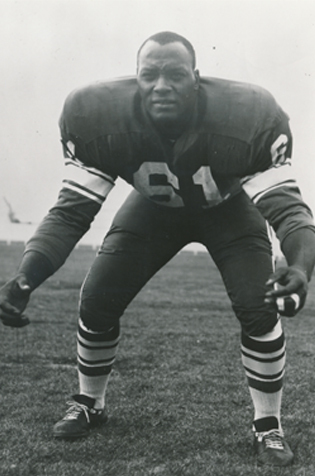 In 1989, Ed McQuarters was elected to the Saskatchewan Roughriders Plaza of Honour.